Mrs. Carrie Mae Davis McGhee was born May 16, 1927 to the parentage of the late Ulysses and Bessie Davis. She attended the Henderson School System. At an early age, she joined Davis Chapel AME Church and served faithfully as the President of the Usher Board and the Mother of the Church, until her health failed her. She was joined into Holy Matrimony to the late Jessie James McGhee. To this union twelve children were born. Mrs. Carrie Mae was a loving mother, provider, teacher and community leader. She believed in ensuring that her children never wanted for anything. She was well known throughout her community for the many lessons that she taught, and the one that stood out the most from her words: “You gotta work and work hard for what you want.” She ensured that those words were instilled into all of her children and grands. 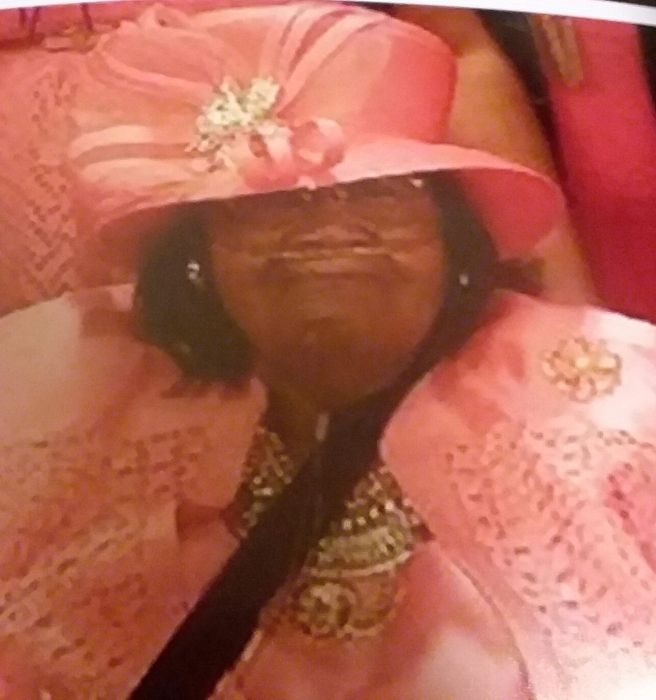 On Wednesday, March 13, 2019 surrounded by her loved ones, Mrs. Carrie Mae Davis McGhee transitioned her earthly life for an eternal life to be with her personal Lord and Savior. A light from our lives has gone. A voice we loved is still. A place is vacant within our hearts, which nevermore can be filled. She is preceded in death by her parents: Ulysses and Bessie Davis; husband, Jessie James McGhee; children: James (Betty) McGhee, Ulysses (Beverly) McGhee, Lee Daniel McGhee, Pauline (Harold) Ross and Paul McGhee; four brothers and two sisters. Left to cherish her loving memories her children: Essie (Tommy) Turner of Vero Beach, FL, Winnie (George) Brown, Alice McGhee, both of Hawkinsville, GA, Mary Kate Brown, Annie Eva Lester, Jerome (Dorothy) McGhee and Olivia (Hillard) Turner, all of Henderson, GA; two godchildren: Willie Marshall Brown of Detroit, MI and Dorothy Releford of Perry, GA; her siblings: Essie Brooks, Sally Chaney, Pearlie (Wilbert) Fitzgerald, Bula Smith, Ester Davis, all of Henderson, GA, Alice Mae Vanalstyne and Evelyn Hill, both of Rochester, NY; her sisters-in-law, Mary Brown, Parthene (Dewey) Manning, both of Henderson, GA, Betty Duncan of Macon, GA and Mable Mobley of Elizabeth, NJ; her brother-in-law, Jackie McGhee of Tampa, FL; her grands: 45 grandchildren; 72 great grandchildren; 19 great great grandchildren; and a host of devoted nieces, nephews, other relatives and friends including a devoted family friend, Dorothy Blackshear.